We are getting into the cooler fall season and soon you will need to fire up the heat in your home. If you are considering a supplemental heating source, there are many options and types. Here is a breakdown of the some heating sources and their benefits. Infrared Heaters emit rays that directly heat objects that are in the line of sights such as people in the room and the immediate surroundings in the room. Infrared heaters boost the temperature of a room while using less energy and saving you in energy costs. Infrared Heaters provide a reliable, clean, affordable heat that leaves no residue, film, or odor. Most feature a re-usable filter to reduce waste. And infrared heaters are completely safe around children and pets. Infrared heaters do not dry out the air or burn fossil fuels. They do not use flame or combustion so they do not produce pollutants or odor. 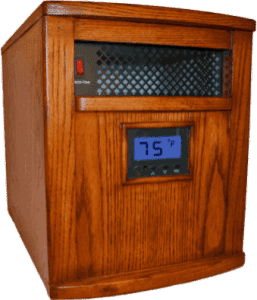 Infrared heaters are an ideal supplemental heating source- they will provide a steady effective heat to your desired room without consuming a large amount of energy. Just plug into a standard outlet and you will have an instant heat source. Find out more about Infrared Heaters available in our Heating & Cooling department. 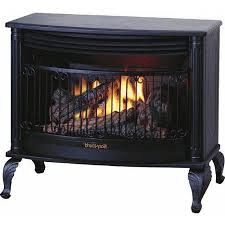 Vent free gas stoves and fireplaces are a convenient way to heat a room and bring great ambiance into your home. They are extremely efficient (burning 99.9% of the gas they use). Because they are vent free, you are not going to lose any heat up a chimney of flue. If you a have a large open room to heat, a vent-free gas stove or fireplace is a perfect option for you. There are also safety features built into these gas stoves and fireplaces- oxygen detection safety pilot (ODS) and automatic shut off valve to shut off gas if the pilot light goes out. There are various sizes and capability options for each gas stove and fireplaces ranging from a gas fireplace that can heat up to 700 sq ft and produces up to 20,000 BTUs of heat to a gas stove that can heat up to 950 sq ft with up to 25,000 BTUS. 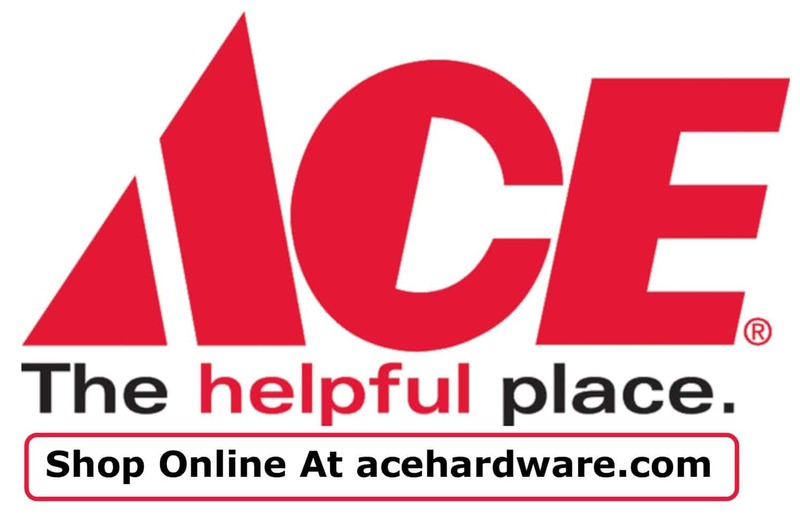 See more styles and options available in our Heating & Cooling department. Electric fireplaces install quickly, are easy to operate, and require little maintenance. They do not require a chimney at all because heat dissipates directly into the room. You simply plug into a wall outlet and your electric fireplace is essentially ready to go. Most electric fireplaces operate with a remote control and you can control heat settings with the thermostat. 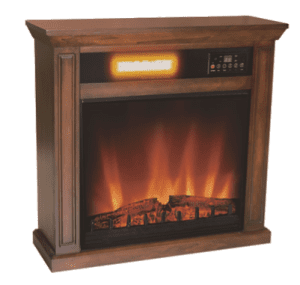 Browse our electric fireplaces in our Heating & Cooling department. Pellet stoves burn renewable wood pellets and this makes pellet stoves more economical than heating oil, propane, or electricity. They are easy to use and typically once you load the pellets, they will burn for 16 hours before you need to reload your stove. And pellets burn cleanly and efficiently. Most pellet stoves feature easy to use electronic controls and components such as blowers, ash pans, and air wash glass. Pellet stoves are durable and built for years of high performance. 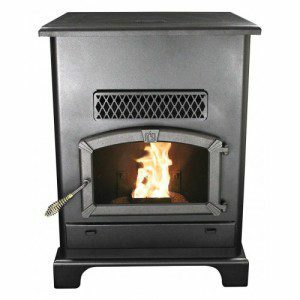 Pellet stoves are offered is varying sizes with varying BTUs. Find out more about our Pellet Stoves available in our Heating & Cooling department. Wood Stoves bring the comfort of warmth (and the ambiance) while producing low cost heat. Wood stoves that are manufactured today burn wood more efficiently using less firewood and minimal ash. Wood stoves are ideal when your utilities are compromised- if the power goes out, you still have a source of heat. Wood stoves are available in multiple sizes and BTUs. 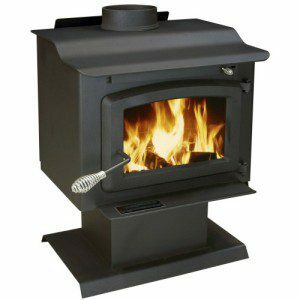 See our complete line of Wood Stoves available in our Heating & Cooling department.